Happy Sunday, everyone!! :) It's another GORGEOUS Fall day here in sunny Pennsylvania -- I sure hope you're enjoying a fabulous day too... It's always nice to look out the window and see sunshine, don't ya think? It's a reminder that it's a NEW day with NEW promises and NEW hope!! :) When things seem to keep going wrong, it's easy to only see the downside of everything... But it only takes looking for that one small positive thing to turn your day (or week or month) around!! The-Boy-Child: "Mom!! Look who's going back to college with me!! 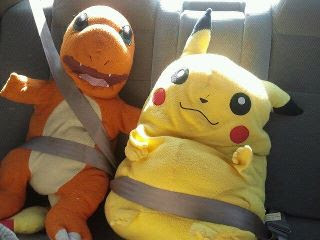 I'll be the coolest kid there!!" Mom: "Do you have ANY clothing left at school?" 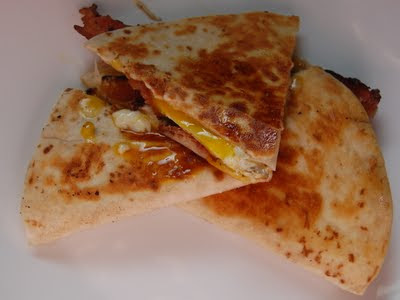 The-Boy-Child: "I've discovered a way to make all my clothing last between trips home..."
The-Girl-Child (via Twitter): "egg quesadillas for lunch? #mymommylovesme." A creepy spider card!! :) This is a standard A2 sized card... 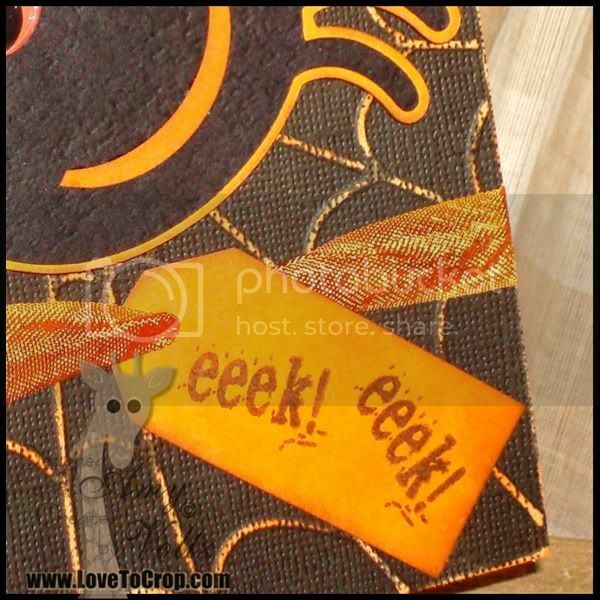 I used some Coordinations Color Core Cardstock for the background (black with an orange core) and embossed the web with a Sizzix embossing folder (it's part of their Halloween set this year)... I sanded the embossed image so that the orange would show through. To add a little more dimension to it, I also inked the sanded area with with SU! 's Only Orange. When I was all finished, I realized that I didn't even need that third "extra" color!! 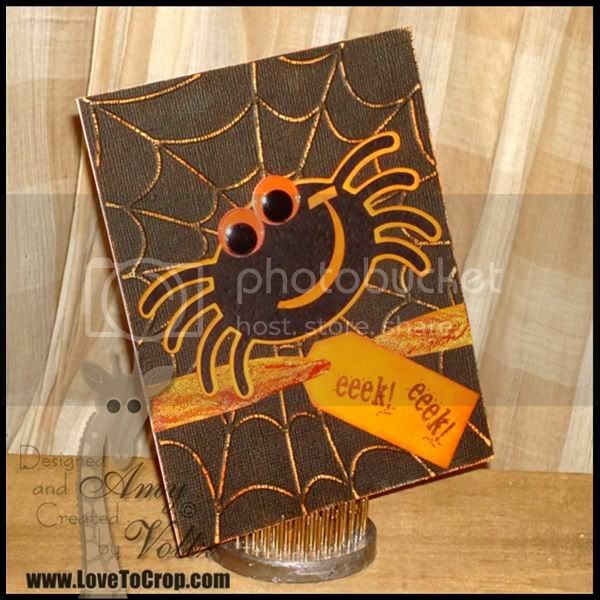 :) I think it's a pretty fun card (and not too terribly scary).... Now that I've shown you my take on the challenge, I hope you'll hop on over to see what all of my Design Team Sisters made for inspiration... Then, I hope you'll enter this week's "Orange and Black Color Challenge" for this week's Simply Sunday Challenge at Getting Cricky... We can't WAIT to see what you create!! Yay, for having your chickadees back in the nest for a few days. Is that REALLY your laundry room? He must have rented a U-haul just to get all that back home to be washed. Your card turned out great. Amy you are mother of the year!! That's a whole lot of laundry!!! This is so cool, love the way you sanded the paper!! Great job!! Wow, nice job on the card. Love the sanding, really gives it a grest effect. Great job! I'm probably not the first to tell you this but that spider is anything but scary with that smile on it's face!! :) Love the card, Amy! Cute card, and I agree you didn't even need the extra color. Looks great with just the orange and black. Tooo cute Amy, Love it!! This is an awesome card and I need to look for this paper!!! :) TFS it! ok, give the kids some quarters already would ya? ha! theres nothing better than mom doing laundry though! 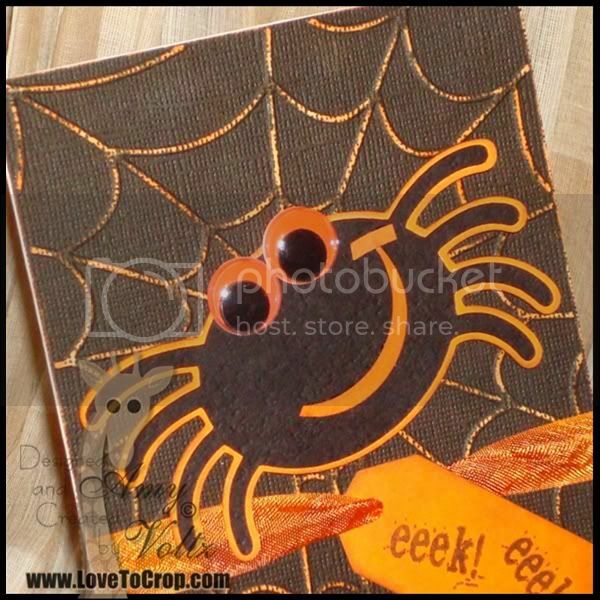 love the card, that spider is adorable, I mean scary!!! 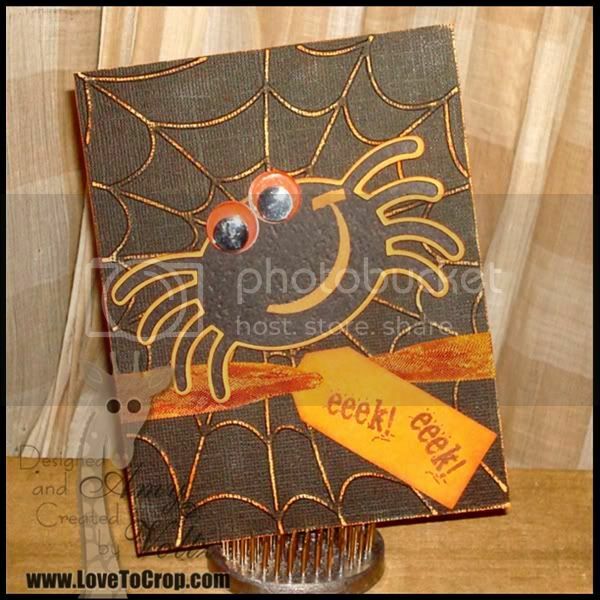 Your spidey would make a good combo with my Halloween Pumpkin Card No 2. Tried out my Gypsy with the updated software I loaded on my laptop but Gypsy's blue screen goes black almost immediately so I'll be mailing it back tomorrow with the FedEx label they emailed me. Amy, this is just so darn cute. You always have such cool ideas. Can't wait to see what you make next. Hope you have a blessed week girlfriend! What great techniques. Thanks for sharing this fun card. So glad you had a good weekend with your kids. Your comments go perfectly with the devotions we have had at our last two weekly staff meetings! One was on finding at least 3 beautiful things each day and the other (today's) was about being in a worshipful attitude each day. You are spot on!!! Great job on the card. I've never tried Coredinations paper - I need to get some! Great card Amy.......love the spiders googly eyes. OMG, look at all that washing!